You get the point: everybody has a different take on SEO and its impact. Here are the tools I use to perform audits and crawl websites. I can’t write custom crawling and analysis code for my audits, but I rely on the amazing work of SEO tools like Screaming Frog’s SEO Spider to perform the site crawl. The Screaming Frog SEO Spider is free, however you can purchase a license for £149.00/year to crawl more than 500 URLs and have access to advanced features. It’s one thing to say you are interested in conducting an audit, but another thing entirely to move through each step in a timely and efficient manner. You can spend as much or as little time as you want on your SEO audit. As long as you end up with valuable data that leads to actionable steps, you will find yourself in a much better place. It may not be the most exciting step of an SEO audit, but it’s definitely one of the most important. If search engines (and users) are unable to access your website, you aren’t going to make much progress. Is your robots.txt file restricting search engines from crawling some or all of your website? Are there any robots meta tags on your website that are mistakenly blocking search engine crawlers? Are there any URL errors, such as 404 errors? Have you created an XML sitemap? Along with answering the above questions, there is another detail that belongs in this section: site performance. A slow website is one that will chase visitors away. It is also one that can harm your search engine rankings. Use a tool, such as Google Page Speed, to better understand how your website is performing in regards to speed. You can do everything right in terms of on-site and off-site optimization, but this will only get you so far. After you make your way through the four steps above, you want to see how your website appears from the outside. Answer this question: what are search engines doing with the information provided? Search for your domain to see how it appears in Google and to make sure it has not been penalized. See how many pages are indexed, making sure that most or all have been recognized by Google. Search the keywords most closely related to your business. Choose several pages of your website and search for duplicate content. If you run into any issues during this part of the audit, nothing else will make sense. How much traffic is your website receiving, on average, every day, week, and month? Is your traffic increasing or decreasing month over month? What are the primary sources of your traffic? Which keywords are generating the most traffic? How does your website’s traffic stack up against the competition? There are several ways to answer these questions, starting with a review of your analytics account. If you are using Google Analytics, for example, all of these questions are simple to answer. It will only take you a few minutes to dig through your data and make informed conclusions. It only makes sense to spend plenty of time on this step during your SEO audit. After all, it’s the pages of your website that attract visitors and search engines. Is the URL user friendly and to the point? Does the URL include keywords related to the content of the page? Have you avoided the use of excessive parameters? Does the URL use hyphens to separate words, as opposed to underscores? Is the content 100 percent unique, both when compared to other pages on your website and other websites in general? Is the content valuable in terms of the user experience? Does the content include keywords, without stuffing? Is the content of the highest quality in regards to grammar and spelling? Search Engine Land does a great job breaking down the correlation between content and search engine success. Just the same as on-site optimization, the things you do off your website play an important role in your search engine rankings. The quality of your website is based largely on the quality of the sites that link to it. When it comes to backlinks, quality is more important than quantity. While you can only control this to a certain degree, you want as many high quality websites linking to your property as possible. How many unique domains are linking to your website? How many backlinks are no-follow? Are the backlinks from sites that are related to yours in regards to subject matter? How much authority do the domains have that are linking to your website? A website’s authority is more important than ever before. Your job is to build a strong brand, as this proves to the search engines that your content should be ranked at or near the top. There are several ways that authority is judged, including the quality of backlinks, number of backlinks, the sites that links to yours, and the overall level of trust. If you want to learn more about your site’s authority, use the domain authority and page authority tools provided by SEOmoz. This will show you how each page stacks up, as well as your domain as a whole. With social media use on the rise, this continues to play a large part in regards to search engine rankings. Focus your time and efforts on the social platforms with the largest reach, such as Facebook, Twitter, Google +, and Instagram. When analyzing your social engagement from an SEO perspective, pay close attention to engagement. For example, how many retweets are your posts receiving? How many likes? Taking this one step further, evaluate the authority of the brands and individuals sharing your content. Just the same as backlinks, it would be in your best interest to engage with the top influencers in your space. Although this is an SEO audit of your website, it’s good to know what the competition is up to. This shows you where you stand, in regards to competitors, while also providing insight you may be able to use to your advantage. 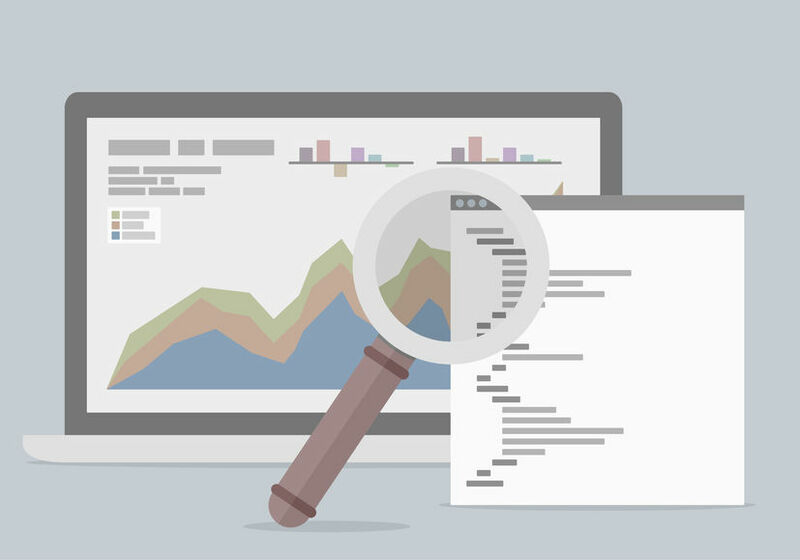 Interested in learning more about SEO audits? Check out these reputable online marketing and SEO websites. There is no right or wrong way to complete an SEO audit of your website. This all comes down to your knowledge and experience, as well as what you are hoping to accomplish. At the very least, move through these SEO audit steps. In the end, you will have a clear idea of where your website stands at the present and how you can make improvements in the future. Great post… really an informative one as i always use to hunt on google as the portion comes of analyzing any website in front of me and not satisfied with the results, but your article ended my search and now i know that how to audit performance of any website SEO. I read your article “How to Perform a Website SEO Audit” and have question. I see your have your seo analyzer. Why are you advertising The Screaming Frog, but not your tool? Also I have second question, please, your email box. No problem! Actually due to the file attachments it didn’t go to my inbox. 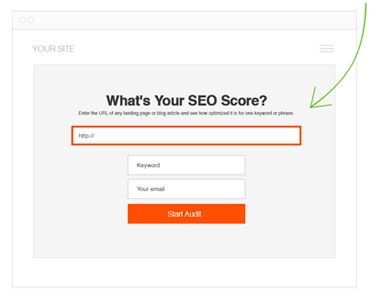 Personally I try not to oversell our seo auditing tool. Its easy to find and I would rather promote other solid products. I sent again the mail, but without the file attachments – with links. This was one of the most comprehensive articles on SEO. Thank you I can’t wait to go through the steps and hopefully save myself from starving. However, it would have been fair to put a quick sentence that not ALL SEO’s are bad or worthless. The article’s on a pretty high profile site, and while I totally respect (and agree with) the opinion that MOST (95%) of SEO’s should be avoided, there’s still 5% of SEO’s out there who don’t fit that bill, and don’t deserve to get wrapped up or generalized with the rest! Hey Alena, I think you are referring to this paragraph? Thats just making the statement that a majority of marketers factory SEO into their strategy for customer acquisition. We aren’t making a case for the illegitimacy of poorly run SEO companies. Great article Charlie, I find it extremely helpful. Do you strictly use Screaming Frog for crawling web pages or you use other alternatives. And if you do, which one would you recommend? Personally I will use a combination of Screaming Frog, SEMRush and Google Webmaster Tools. Sometimes it depends on the size of the site too. What type of site are you auditing? My site http://www.planavac.com/ is ten months old but still at fifth sixth page on serp for many keywords. All seo parameters are good. Will it take more time to come near to first page of google? Thanks Charlie, for these useful tips for making website or blog index. I have my blog located here at : https://evergreensmss.blogspot.in and there are just 53 pages which are indexed by Google and when I search for my blog name then I don’t find any result. Can you please take a look and suggest me what to do? My main keywords are not showing up in the search. Some of my pages are not showing on search instead of correct page other page show. Let say I have a page https://www.onlineinterviewquestions.com/db2-interview-questions-answers/ when I search in google “DB2 interview questions”another page of my website is shown. This page is not even in 200 records. Please suggest what is the problem.My of keywords have this problem. Hii my site is not indexing http://www.dekhweb.com tell me what to do? Thanks for sharing this amazing article was just the thing i was looking for. Thanks for this article I applied the same to my new blog and it’s working quite fine now. Thanks! Which SEO tip did you find most useful for your site audit? I have a website namely freemock.com, landing keyword free online mock test, but why this site did not rank top 10 search result, I apply all seo tricks. please help me.